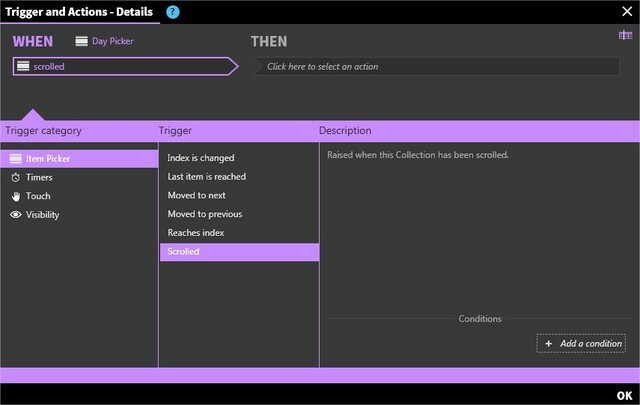 The Item Picker is a collection that allows users to browse and select an asset in a scrolling list. For example, the Item Picker can be used to implement a color selector for an outfit. NOTE: Item Picker is only supported on Windows devices. 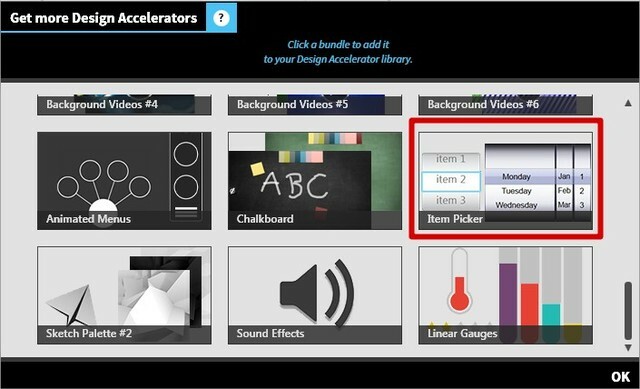 Unlike most collections, the Item Picker collection is accessible via the Design Accelerators panel, found in the Ribon Panel menu or by pressing the Alt + D keys on your keyboard. 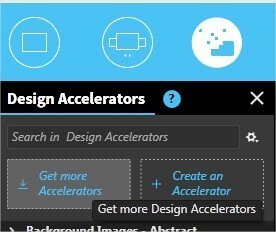 You will need to select the "Get More Accelerators" button and search for the item picker and download this design accelerator. Allow interaction with item --> toggle whether or not an item can be interacted with. For example, if this property is turned on, touching a video in a collection can cause the video to play. Tap item to open --> toggle whether or not a touch on an item will cause a copy of that item to open outside of its parent collection. 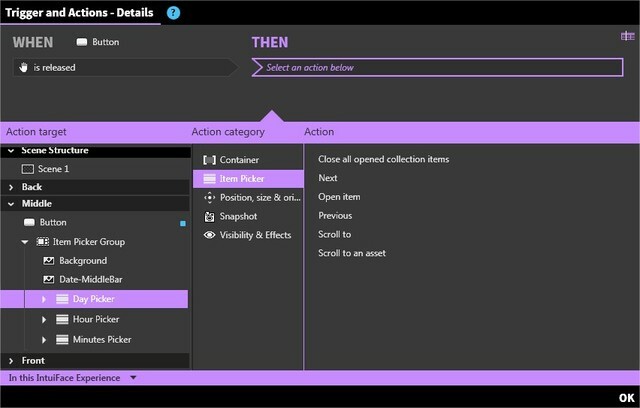 Drag and drop item to open --> toggle whether or not a drag-and-drop action on an item will cause a copy of that item to be opened outside of its parent collection. Display items as thumbnails --> toggle whether or not the actual content - images, videos, etc. - should be replaced by thumbnail. Using thumbnails can improve performance if the content is very large.